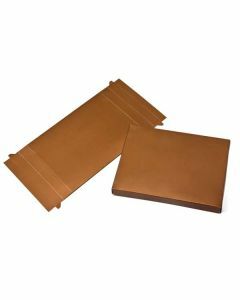 Ideal fit for 4 Baronial, A1 size, envelopes and card, our copper flat paper box bottoms are great for invitations, thank you cards, small photos and other items. 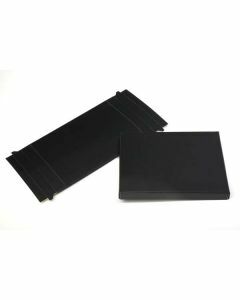 Find all sizes and colors at ClearBags.Top & Bottom Sold Separately. 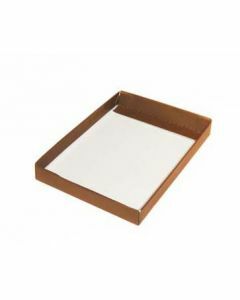 Champagne color folding paper box bottom. Top & Bottom Sold Separately. 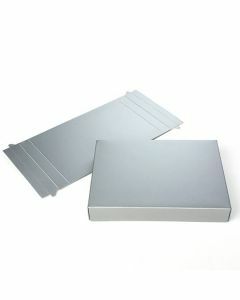 Ideal for 4bar/A1 size envelopes and cards. 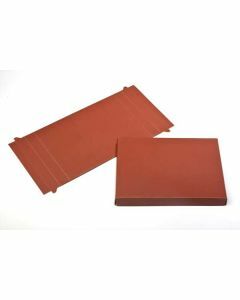 Bronze box bottom stationery packaging. Top & Bottom Sold Separately. 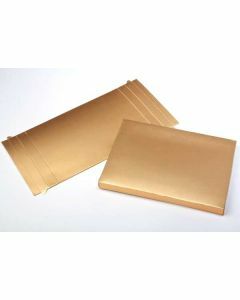 4 Baronial Size, A1, ideal for a set of a dozen standard weight envelopes and cards. 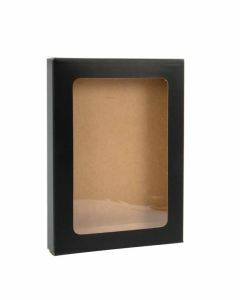 A1, 4 Baronial size, black matte box bottom for shipping or retail display of envelopes and greeting card sets. 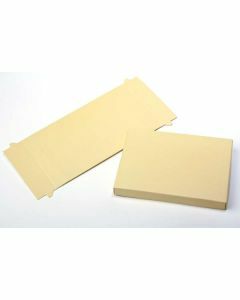 Find all sizes of packaging for stationery at ClearBags. Top & Bottom Sold Separately.